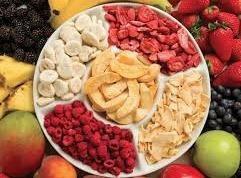 Our range of products include freeze dried fruit flakes / cubes. We are Manufacturer of Freeze Dried Fruits (Flakes / Cubes). All nutritional content are intact. Looking for Freeze Dried Fruits ?